Skin Rejuvenation or Hair Restoration. "For you, at any age, healthy skin is an art I have mastered." Many adults and teens seek acne treatment to ease their struggle with the effect acne has on their skin and self-esteem. You can say goodbye to pimples, blackheads, painful acne, and other blemishes. We here at SkinCare by Alyce are here to help! Your Acne Treatment will be custom-tailored to the unique needs of your skin. You deserve clear, acne-free skin you can feel good about. If you are interested in learning more about our selection of skin-clearing services, call (610) 685-2575 to schedule a private consultation at Skin Care by Alyce today. Consultations require a $50.00 deposit that will be applied toward your first service when booked within 30 days. 6.1 Do home remedies work for acne? 6.2 What would a dermatologist prescribe for acne? 6.3 How do you get rid of back acne? 6.4 How much does an Acne Treatment cost? 6.5 What happens when my acne is persistent or it is a more advanced grade of acne? Acne is caused by a variety of factors, ranging from genetics to external factors on the skin. Nutrition, harsh or incorrect skincare and cosmetic products, overdrying of the skin, hormones, smoking, exposure to bacteria, and overexposure to the sun have all shown to trigger acne in adults and teens. Not cleansing the skin enough after working out or wearing makeup can also clog pores. Whether you are trying to treat a sudden breakout or you suffer regularly from acne, we will find the best acne solutions for you and your skin. The causes of acne will vary from person to person. As part of SkinCare by Alyce’s Acne Treatment services, Alyce and her team of estheticians work with their clients to help them identify their acne triggers so that they can avoid future breakouts. After you receive an Acne Treatment and learn how to properly maintain your skin with a home-care regimen at Skin Care by Alyce, you will enjoy healthy, clear skin for the long-term! SkinCare by Alyce provides treatments that both alleviate active acne and reduce the appearance of acne scars. Once an esthetician has assessed the needs of your individual skin, they will recommend an Acne Treatment plan that addresses your case and leaves you with beautiful, healthy-looking skin. Clients will receive a private consultation with Alyce, a Registered Nurse with over 20 years of experience with acne treatments. During your consultation, Alyce can determine the best ways to address your specific case and get you back to enjoying life with clear, healthy skin! Alyce will assess your skin, lifestyle, and cosmetic routine to determine the best treatment option for your acne. She will be happy to answer any questions you have about our acne treatment services, or any other skin care solutions that we offer. At Skin Care by Alyce, your comfort is our priority! Our goal is to treat your acne as effectively as possible, all the while keeping you comfortable and your skin healthy. 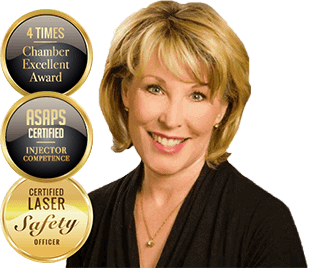 Alyce is a Registered Nurse and Medical Aesthetician with a Level 2 Advanced Injector Certificate from the American Society for Aesthetic Plastic Surgery. Alyce understands how to treat your acne, on both a medical and aesthetic level. Thanks to Alyce’s expertise, you can be confident your skin will be in good hands. If you are interested in finding out how you can banish your acne and enjoy clear, smooth skin, we invite you to call Skin Care by Alyce to schedule your private consultation with Alyce today. An Acne DermaSweep treatment will address your clogged pores and nourish the health of your skin. Acne DermaSweep delivers gentle micro-resurfacing to clear away dead skin. A vacuum-powered wand will be run over the skin, removing old skin cells and cleaning debris from the pores. The mild suction will stimulate blood flow and promote new collagen production within the skin. With better blood flow and renewed collagen, the skin will heal more quickly and acne cysts and scarring will improve after the initial phase of your acne Dermasweep. After Alyce moves Acne DermaSweep across the facial skin, clients will receive an epi-infusion. This infusion is tailored to the patient. Ingredients can include salicylic acid, glycolic acid, and skin-nourishing vitamins. Without the dry and flaky skin blocking the pores, the skin will deeply absorb the solution. There is little downtime after an Acne Dermaweep. Skin quality will continue to improve with subsequent Acne DermaSweep treatments. We recommend a series of 3 – 6 sessions spaced 10 – 14 days apart. Skin Classic applies cutting-edge technology to deliver targeted blemish elimination. 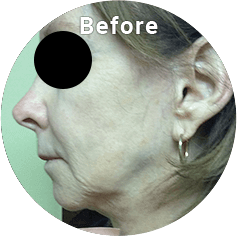 Skin Classic is a popular skin rejuvenating system because it truly works. You can achieve your desired skin-clearing results in only one to two treatments! 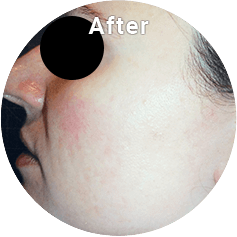 A Skin Classic treatment is highly customizable. Skin Classic is also capable of safely eliminating skin tags, fibromas, sunspots, vascular lesions, and other pigmentation issues from the skin. During a Skin Classic treatment, the skin is first cleaned. Next, targeted high-frequency energy will be applied to your pimples, blackheads, and clogged pores. The high-frequency waves work by dehydrating blemishes. The skin renews itself and sheds the blemished skin to reveal healthier skin. Treated skin will shed within a week of the treatment. To learn more about how Skin Classic delivers smooth, youthful-looking skin, schedule a consultation at Skin Care by Alyce today. An Oxygen Cream Mask is a wonderful, soothing way to decrease breakouts and reduce redness from acne scars. An Oxygen Cream Mask can be performed in two to four steps. The stabilized, activated hydrogen peroxide in the mask will increase oxygen molecules in the skin. This will kill anaerobic, acne-causing bacteria. An Oxygen Cream Mask will reduce acne and redness as well as increases circulation in the skin. Skin will feel nourished and relaxed following an Oxygen Cream Mask. Oxygen Cream Masks are also good solutions for clients struggling with rosacea and acne. Patients can receive an oxygenation treatment to help fight their acne and acne-related redness once a week. Oxygen treatments are a great acne-fighting solution on their own. 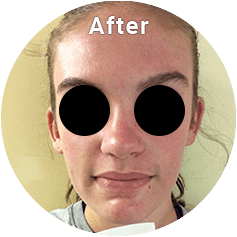 Intense Pulsed Light, or IPL, can address the redness and discolorations frequently left in the wake of an acne breakout. An IPL treatment addresses skin pigmentation by applying light energy waves to the skin. The waves will target and eliminate dark or red skin pigmentation created by acne and acne scars. The length of the waves is adjustable, allowing your esthetician to address the unique issues of her client’s skin. In under 45 minutes, IPL treatment is also capable of addressing the vascular changes left by an acne breakout. The appearance and quality of skin treated with IPL will continue to improve over the weeks following the procedure as newer, collagen-supported skin rises to the top of the dermis and epidermis. 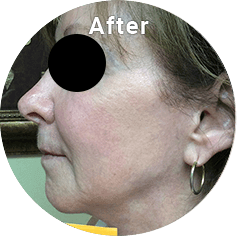 IPL will additionally stimulate new collagen production in the client’s skin. The added collagen will promote skin healing and add youthful skin volume that combats the effects of damage and scarring. The best results are seen at around three to five months. LED Light Therapy applies Red and Blue LED to the skin. The Light Therapy will even skin tone and stop acne in its tracks! Blue LED targets and kills p. acne bacteria (Propionibacterium acnes), while the Red LED soothes and calms inflammation. An LED Light Therapy session will clear your skin and leave you loving the way you look. The treatment is pain-free. No downtime is required: you will be able to enjoy healthier-looking skin right away! Sound waves are applied to the mid and lower dermis to stimulate collagen production and improve skin elasticity. The new skin that forms over the weeks following the treatment will be firmer and more even-toned. Any existing acne will abate and heal after the ultrasound treatment is administered. Ultrasound treatment will also tighten the pores, reducing future breakouts. The treatment is safe and gentle. No downtime is required. Any nourishing topicals applied after the treatment will also be more effective. To prevent future acne breakouts, maintain a healthy, balanced diet, and drink plenty of water each day. Many of us break out when we are stressed or when we have changes in our hormones. Consider exercise, relaxation techniques, and mood-supporting supplements to help counter these breakouts. Monitor your diet to determine if dairy, sugar spikes, or processed oils show a correlation to your breakouts. Avoid touching your face throughout the day, cleanse your skin after sweating or wearing makeup, and wash your sheets and towels regularly with dye-free/fragrance-free detergent. Cleanse your skin in the morning and night, but avoid overdrying it. Smoking can also dry the skin and make someone more prone to breakouts. The causes of acne differ from person to person. Once you have identified what triggers your acne, you can work on altering the behavior to guarantee your skin is as clear and healthy as possible! Do home remedies work for acne? Homemade acne solutions may work to treat small breakouts, but they are not usually effective to treat deeper or persistent acne and clogged pores. Homemade skin masks and topicals can give skin quality a small boost but cannot reach the deeper levels of the skin. 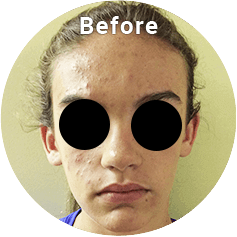 Acne treatments from a licensed medical esthetician like Alyce will penetrate deeper into the skin and reach the root causes of the pimples, cystic acne, and clogged pores. What would a dermatologist prescribe for acne? Today, most dermatologists approach acne with one of two solutions: salicylic acid and benzoyl peroxide face washes and topicals, or Accutane. While these two treatments can be effective for certain cases, these are only two of a wider range of acne treatments shown to fight and prevent breakouts. These topical solutions can overdry the skin for some people, leading to drier skin that struggles to recover from injury. Accutane is a prescription medication that treats persistent cystic acne but has the drawback of liver damage. Women will need to receive monthly blood work to receive Accutane. SkinCare by Alyce works closely with a dermatologist to treat more advanced grades of acne, or persistent acne breakouts. How do you get rid of back acne? Back acne is often connected to diet, stress, clogged pores, and skin irritation. Patients who struggle with back acne are invited to schedule a private consultation with Alyce to learn what their best treatment options will be. How much does an Acne Treatment cost? The price of an Acne Treatment at Skin Care by Alyce depends on the details of the client’s unique treatment plan. Once Alyce has assessed your skin and understands your goals for your appearance, you will receive a cost estimate for your personalized acne treatment plan. Pricing will vary based on the type and number of treatments the client would like to receive. What happens when my acne is persistent or it is a more advanced grade of acne? SkinCare by Alyce works closely with a dermatologist to treat more advanced grades of acne. Alyce can help you make your dermatology appointment and, with your consent, correspond with your dermatology provider to stay aware of your treatment, topical and oral. She works along with your dermatologist to achieve the best results medically and cosmetically. 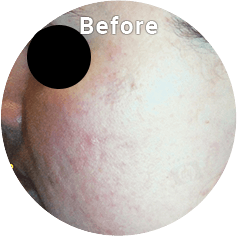 Alyce works with men and women of all ages to alleviate their acne and improve their skin quality. If you are ready to say goodbye to pimples, cysts, and blackheads, schedule a consultation at Skin Care by Alyce today!